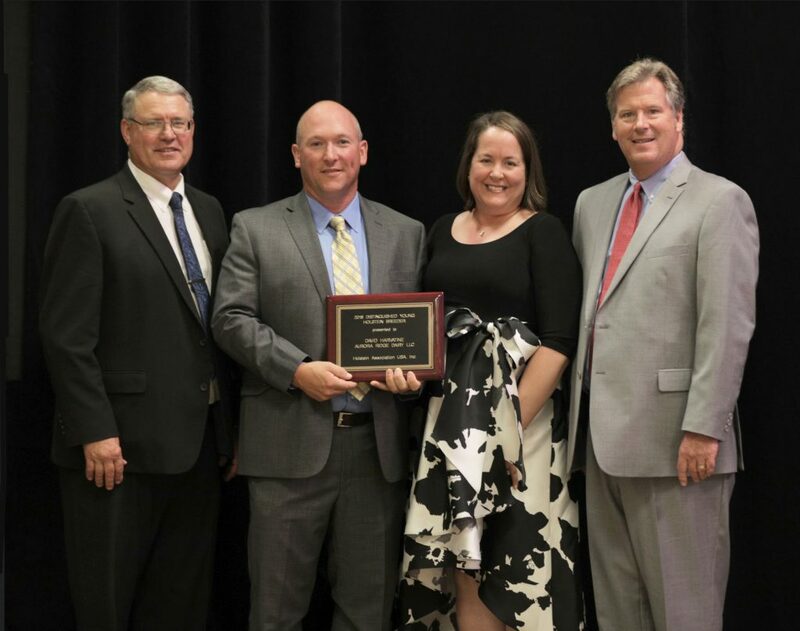 BRATTLEBORO, Vt. — Tom and Gin Kestell of Ever-Green-View Farms of Waldo, Wisconsin, were honored with the Elite Breeder Award and David Harvatine was awarded the Distingushed Young Holstein Breeder at the 2018 National Holstein Convention in Acme, Michigan. The Kestell family now manages one of the world’s highest producing herds, as well as an exporting business. They have exported over 8,900 embryos in the last nine years to many countries including Russia, China, Germany, Brazil, Japan, India and the Netherlands. In 2017, they exported more than 14 percent of all U.S. dairy embryos. In 1971, they established Ever-Green-View Farms and started their farming career on rented land. Eight years later, they procured their current facility. Ever-Green-View Farms is a federally inspected, EU-approved export facility for embryos. Many of their cows have been recognized with state and national records for milk, fat and protein. They have awarded more than 20 scholarships to area students in memory of their late son, Clay. 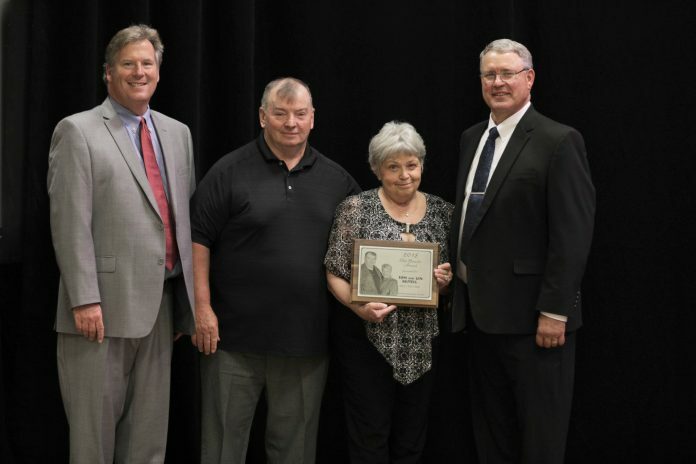 Holstein Association USA recognized Harvatine of King Ferry, New York, as the Distinguished Young Holstein Breeder. As co-owner and dairy manager of Aurora Ridge Dairy, Harvatine is living his dream of working in the dairy industry and breeding elite Registered Holsteins. Started in the mid-1980’s by Bill and Penny Cook, Aurora Ridge Dairy has expanded from a 65-cow herd to 2,250 cows. Today, Aurora Ridge Dairy is owned by four partners: Bill Cook, Dan Westfall, Jason Burrows and Harvatine. Adaptation of technology has been an important part of their operation. Aurora Ridge Dairy utilizes the many genetic and reproduction technologies available. Harvatine and his wife, Leigh-Ann, have two children, Ava, 10, and Bree, 7.